Photo: Gull Lake, in the June Lakes Loop. Eastern Mojave Vegetation Gull Lake, in the June Lakes Loop. Gull Lake is the second highest of the chain of four lakes on the June Lakes Loop, below June Lake, and above Silver Lake. The peak at left is Carson Peak. California Highway 158: at Gull Lake. Field Notes: 23 Sep 06 at Gull Lake. A Checklist Flora of the Mono Lake Basin, Mono County, California and Mineral County, Nevada. : at Gull Lake. 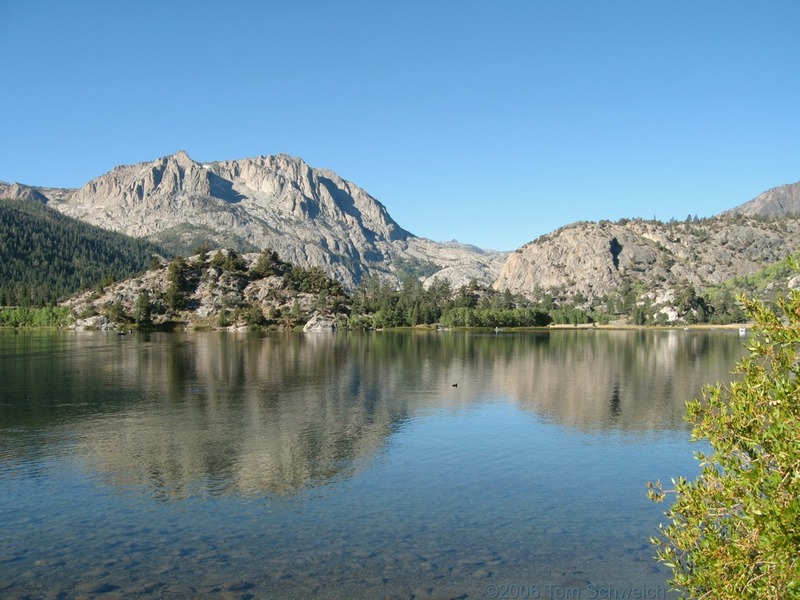 Other photos about Geography - Mono Lake Basin, California or Gull Lake.